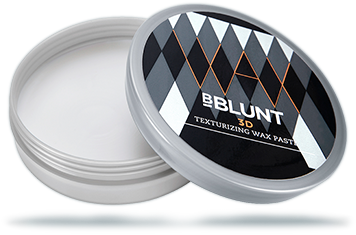 BBLUNT 3D Texturing Paste is for men who are looking for high definition, texture and strong hold. Create your own style statement and carry a flawless dapper hairdo no matter where you go. A perfect mix of sheen, texture and style in now at the tip of your fingers. 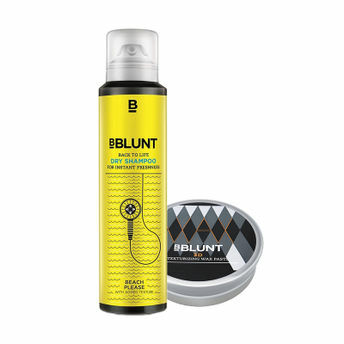 Adds lustre and volume to your hair and makes it more manageable. Helps retain moisture in your hair. Work a small amount into your palms and apply evenly. Using your fingertips manipulate your hair to create the desired style. 'Beach Please' for added texture and a sea breeze fragrance. No water, no fuss, this dry shampoo does a smooth job of absorbing excess grease & grime. 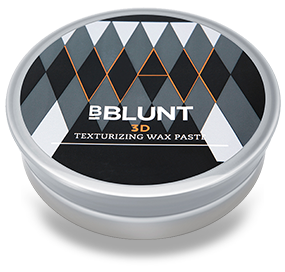 It revamps the hair in seconds giving it added texture and a wonderful scent.It smells like a breath of fresh air. With just one spray, you are sure to feel like you?re on a permanent island vacation. Just shake, spray and rub it on for 2 minutes to kiss the grease and grime goodbye.